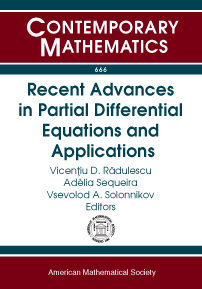 This volume contains the proceedings of the International Conference on Recent Advances in PDEs and Applications, in honor of Hugo Beirão da Veiga's 70th birthday, held from February 17–21, 2014, in Levico Terme, Italy. The conference brought together leading experts and researchers in nonlinear partial differential equations to promote research and to stimulate interactions among the participants. The workshop program testified to the wide-ranging influence of Hugo Beirão da Veiga on the field of partial differential equations, in particular those related to fluid dynamics. In his own work, da Veiga has been a seminal influence in many important areas: Navier-Stokes equations, Stokes systems, non-Newtonian fluids, Euler equations, regularity of solutions, perturbation theory, vorticity phenomena, and nonlinear potential theory, as well as various degenerate or singular models in mathematical physics. This same breadth is reflected in the mathematical papers included in this volume.